Marian F. Perkey, 90, of Nevada passed away Saturday, January 26, 2019 at Nevada Regional Hospital following a lengthy illness. Marian was born January 13, 1929 in Nevada, MO, the daughter of William Franklin and Deborah Alice (Williamson) Agee. She married Herbert Perkey in October 27, 1951 and he preceded her in death on July 24, 2014. Marian graduated from Nevada High School in 1947. She worked as a telephone operator for SW Bell Telephone until 1951 when she moved to KC, MO and began working for the U.S. Army Map Service as a Cartographic Aid. 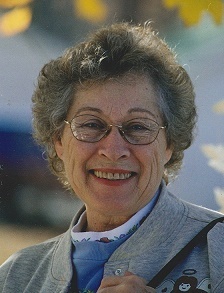 Marian retired in 1984 as a Cartographer from the U.S. Defense Agency Aerospace Center. She was a member of the First Baptist Church in Nevada, and the Association of Mapping Seniors (AMS). Marian was preceded in death by her husband, infant twin daughters, Sharon L. Perkey and Carolyn Sue Perkey; brother, Calvin Agee, and two sisters, Murial Towe and Tonya May Agee. Survivors include her son, David Perkey of the home; three grandsons, Matthew Strunk and his wife Ashley, Spring Hill, KS, Heath Perkey and his wife Jennifer, US Navy, D.J. Perkey and his wife Joy, IA; two granddaughters, Maria Million, Nevada, Aubrey Rossmanith and husband Michael, IA. ; nine great-grandchildren including Madison, Jesse, and Jorden; three brothers, Stafford Agee, Nevada, Franklin Agee II, Bronaugh, and Daniel Kent Agee, Hagerstown, Maryland; five sisters; Alice Reaves, Everton, MO, Virginia Crites, Newport News, VA, Carol Brundridge , Nevada, Brenda Agee, McLouth, KS, Serena Jo Wallace, Nevada; numerous nieces and nephews. 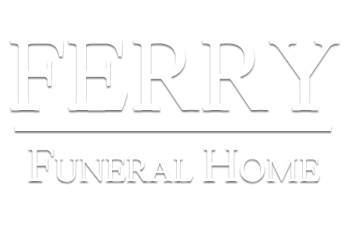 Funeral services will be held at 11:00 a.m. on Saturday, February 2, 2019 at Ferry Funeral Home in Nevada. Interment will follow in Moore Cemetery in Nevada. The family will receive friends from 5-7:00 p.m. on Friday evening at the funeral home.